I have a love-hate relationship with Peanut butter.I might eat it like's there's no tomorrow at times and then get sick of it and wouldn't touch it for a few months.Yeah,that problem.I remember the first time I ate Peanut butter,it was so bad tasting that I swore I'd never touch it even with a barge pole.Then slowly I started liking it(courtesy Sundrop Peanut Butter).No crunchy peanut butter for me,I am from the smooth Pb gang. 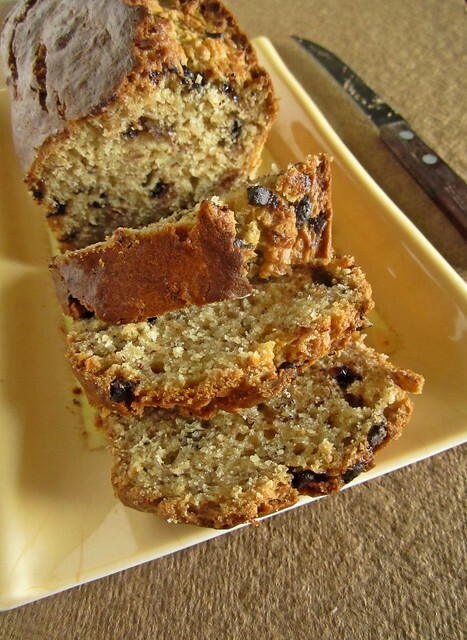 It's been a long long time since I baked a batch of Banana bread and overripe bananas in the fruit box were calling my name.Almost empty jar of peanut butter,a handful of chocolate chips and a overripe banana resulted in this delicious loaf. I love the ease of the recipe,almost one bowl,if you sift the dry ingredients directly into the wet,and such a perfect way to use up those over ripe bananas which otherwise might have gone to the bin.The bread tastes delicious warm and even better as it sits.Moist and moreish with a bite of chocolate chips,ah I am in love with this one. Preheat oven to 180C.Grease and line a loaf pan. 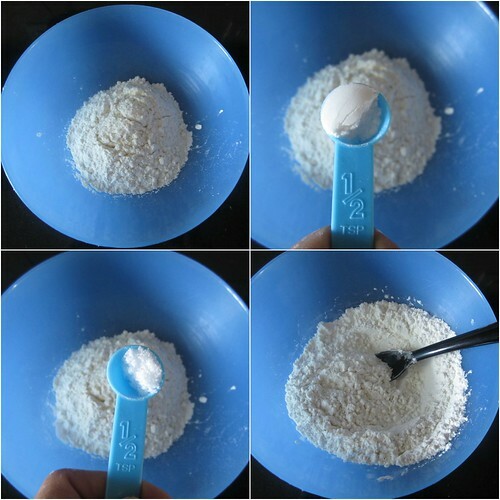 In a large bowl, whisk together the flour, baking soda and salt,set aside. oil,egg and vanilla extract[I forgot to add the vanilla! ]until smooth. 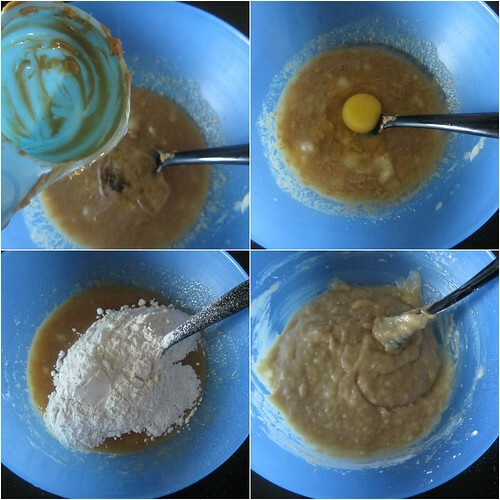 Pour the wet ingredients into the flour mixture and fold together with a rubber spatula until completely combined and there are no spots with raw flour. 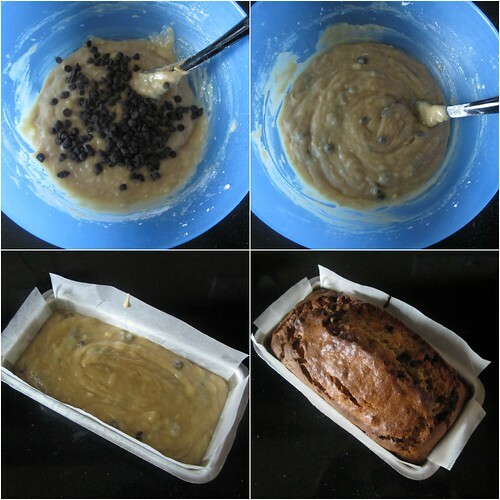 Gently stir in the chocolate chips. Allow the bread to cool in the pan for about 10 minutes, then turn it out onto a wire rack to cool completely. The cooled bread should be wrapped tightly in plastic wrap; it can be stored at room temperature for up to 5 days. 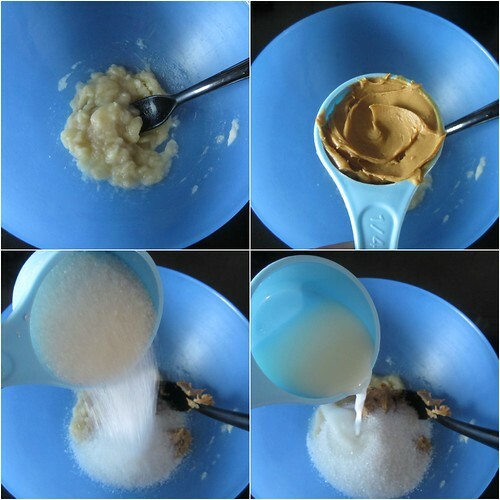 I have a peanut butter bottle in my pantry for a long time..will try this one.. Perfectly baked !!! Looks yummy !! yummy and awesome with wonderful clicks. Yummy bread and the post presentation is so neat! Peanut butter and banana! Delicious combination. and the bread looks fantastic! So Awesome. I saw your blog link on a site where you taught how to bake with a Microwave Oven and I am so thrilled at how creative you are. Thanks Debbie.If your Microwave does not have convection mode,it is not possible to bake in it.However,during my initial baking days I used to bake cakes in the microwave mode.Just mw the cake for 8-10 minutes in 70%-80% power. 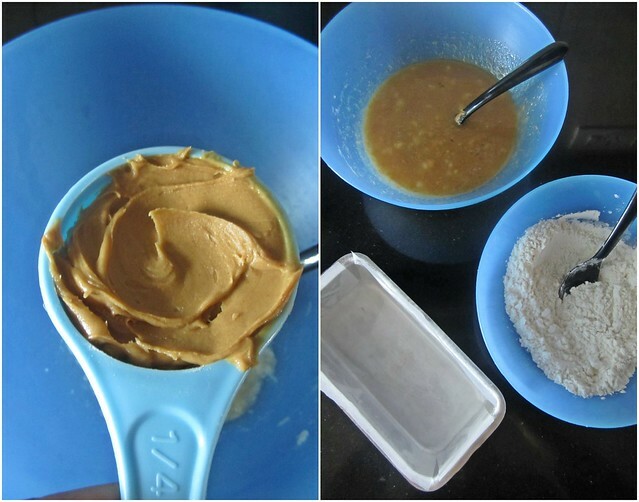 banana and peanut butter is a really good combo. 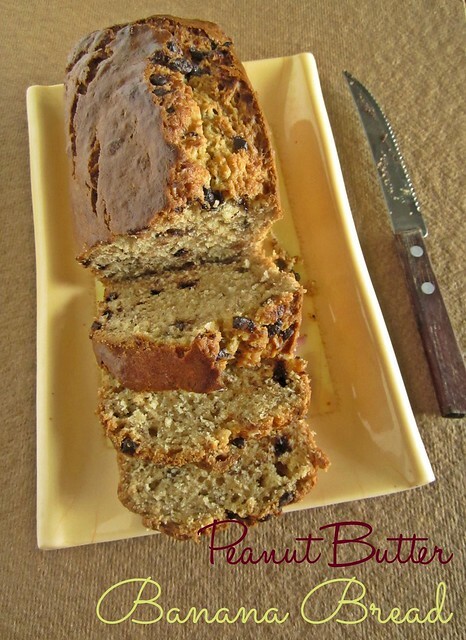 i am not a fan of peanut butter, but would love to make an eggless version of this bread.